Some of the Tibetan dog breeds are becoming more popular these days and are even found in some of the leading dog shows such as Crufts and the Westminster dog shows. As more and more people become interested in some of the rarer dog breeds they are looking to other countries to fulfill this need. There are basically two types of Tibetan dogs: companion dogs and working dogs. The companion dogs were bred specifically to be the pampered pets for monks and aristocrats. Because of this these breeds have been purposely kept small. The working dogs were used by both aristocrats and nomads as they proved to be excellent guard dogs. The working dogs were responsible for watching the flocks of sheep and guarding the caravans. Because of this these dogs are often very independent in nature. They primarily slept during the day and kept watch during the night. One of the main ways these dogs kept the wild animals away from the sheep and caravans was through barking. These dogs have a terrifying bark and are actually able to bark, literally, all night long. This is still a characteristic of all of these dogs which can cause some problems in modern society. 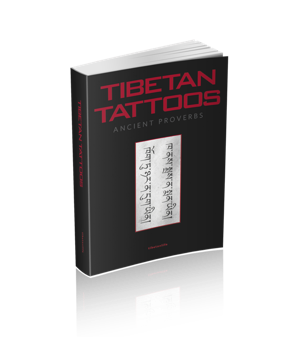 All of the Tibetan dogs are known for being very brave, excellent watchdogs, and very loving and gentle with their own families. Even the working dogs are known to be especially gentle with children and are very protective. In the companion dog category there are five primary breeds: Goh-khi, Lhasa Apso, Jemtse Apso, Ursu Apso, and Gyakhi. The Goh-khi is one of the smallest dogs and was bred to be kept inside the long-sleeves popular with aristocrats in previous centuries. “Goh” means eagle, and at one point in history people believed these dogs could actually be found in eagles’ nests. 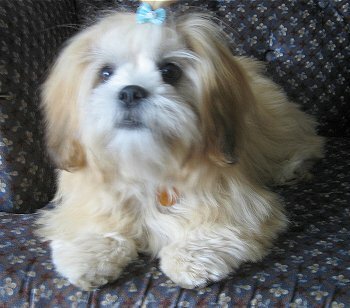 The Lhasa Apso is one of the most well-known of the Tibetan dogs. Their long, heavy coat is very soft and fluffy. 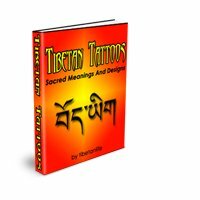 These were originally bred specifically to be companions for the monks in remote areas of Tibet. They are amazingly robust and long-lived for such small animals and make excellent watch dogs. The Jemtse Apso is known as the Tibetan spaniel and shares many of the same characteristics of other spaniels, with similar facial features and coats. The Ursu Apso is the wire-haired cousin of the Jemtse Apso and is marked with a rather lengthy beard. The Gyakhi is the Tibetan Pekinese. The working dogs have two categories which are very similar: Dhokhi and Shakhi (also known as Congkhi). Dhokhi means outdoor dog because these dogs were bred to live their entire lives outdoors in extreme weather. These dogs are characterized by barking for long hours at night to keep other animals at bay, but also for being very loyal and loving with their own families. Rottweilers have similar temperaments. In the Dhokhi category there are three basic breeds. 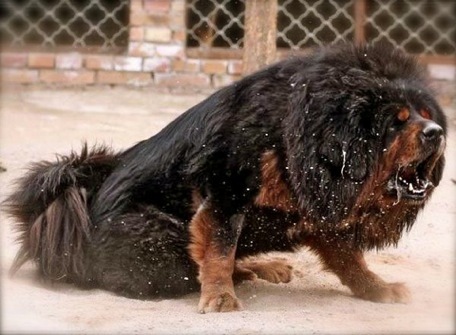 The Tibetan mastiff resembles a Newfoundland in size, coat, and temperament. The Dhokhi Apso, which is also known as the Tibetan terrier has very soft, fluffy fur. The Jemtse Apso Dhokhi has a short coat which is similar in texture to the ropelike coat of the Hungarian Puli. The nice thing about all of the Tibetan dogs is that they are well-known for being outstanding watchdogs and very loving and caring with their own families. No doubt, any of these breeds would make a wonderful addition to any family. Dog Training A very popular Chihuahua Breeder website for people looking for a tiny, loving, loyal companion. Information on puppies, health, diet, grooming...not only for the Chihuahua but other dog breeds as well.